Korean Artist "Kwon Ki-Soo (權奇秀)" invented the character Dongguri as Korea was experiencing economic depression. At that time, most people are unhappy so he invented the character that’s simple, and always happy with big smile. Kwon Ki-Soo is now a very famous artist among Christie’s and Sotheby collector. 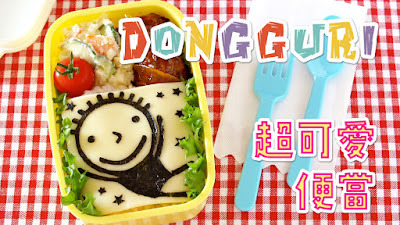 I was asked to make Dongguri bento box for the Very Fun Park’s 10th Anniversary. Since it is a meaningful exhibition, I decide to participate as an artist with my creative bento.